Jobless people in Canada can find some ease in this article. With the Employment Insurance in Canada (earlier known as the Unemployment Insurance) by your side, you would hardly find yourself in any financial despair in Canada. Canadian workers pay some amount in the Central Fund. In the later stages, when these workers leave their jobs or are unable to continue with their work, they can draw the same in accordance with their earlier made contributions. The amount received as an Employment Insurance in Canada depends upon the previous salary of the applicant as well as on the unemployment rate. Regular Employment Insurance in Canada benefits: These benefits are for those who are currently available for work but lost their jobs without their fault. For example due to seasonal lay-offs and so on. Maternity, Parental and Sickness benefits: As the name suggests, those who are pregnant, performing their parental duties for the newborn or adopted child or sick can avail these benefits. You are required to fulfill mandatory conditions such as showing a proof that your regular weekly earnings are reduced by more than 40% and so on. Compassionate Care benefits: The benefits are for those who have to miss their work for a dying relative. The benefit came into existence on January 4, 2004, when eligible applicants who are absent from their jobs to take care of a gravely ill relative; can get up to six weeks of employment insurance benefit for a time span of six years. Fishing benefits: A fisher by profession is a self employed person. But if you are not self-employed and are in the fishing occupation, then you can avail the Employment Insurance benefits. When you should submit the application? It would be a wise option to apply for the Insurance as soon as you become unemployed otherwise there are chances that you may miss out on some key benefits. While making the application, you are required to show mandatory documents like your Social Insurance Number, Personal Identification, Record of Employment, Bank statements, Employment Details, Medical Certificate (If you are seeking sickness benefits) and Adoption Certificate (provided you are an adoptive parent). *The documentation required may vary in the case of online registration. You should be willing and able to work. You should be in a process of job seeking exercise and should have a record of the employers you have contacted (Date and Time of contact). Keep a record of the money earned when on Employment Insurance and report the same on schedule. Report all money earned (That includes your self-employment earnings too). Report when you are not available for work or are absent from your residence. 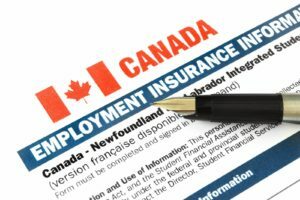 So if you have paid Canadian Employment Insurance premiums and are unemployed, it is best to apply for Employment Insurance in Canada as soon as possible. Also, to claim employment insurance, it is mandatory to be a Canadian Citizen or have a Permanent Resident card. 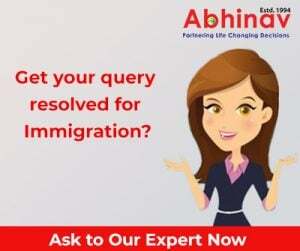 It would be a wise option to hire the services of an experienced Immigration and Visa consultant and secure a hassle free future for you and your family in Canada!